However, cellulose is difficult for them to digest. 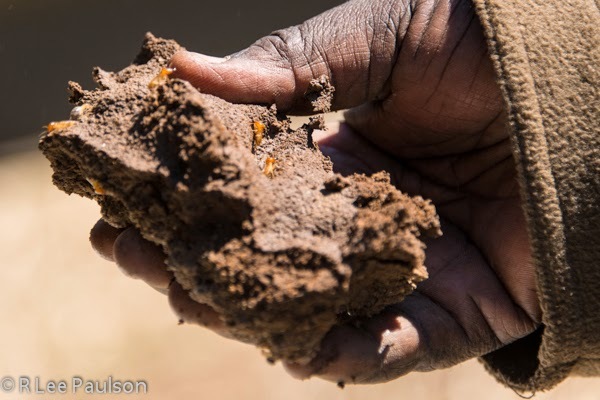 The termites therefore enter into a symbiotic relationship with a type of bacteria that actually digests the cellulose and creates the actual food the termites eat. 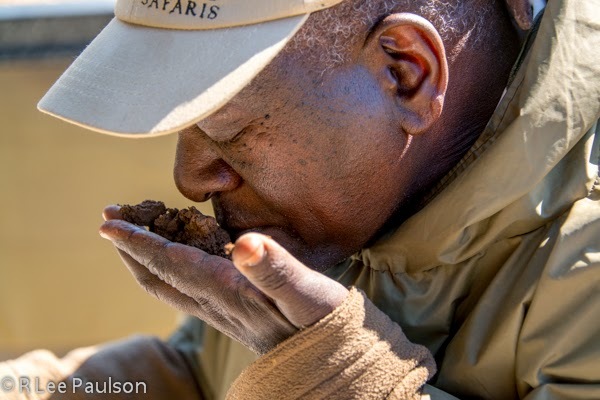 One of our guides, Mufuka, stands by a particularly large termite mound. He is wearing a poncho because it was chilly that morning, especially when driving around in an open vehicle. The bacteria, requires a specific temperature range. It dies and stops producing food if the temperature inside the mound gets too hot or too cold. 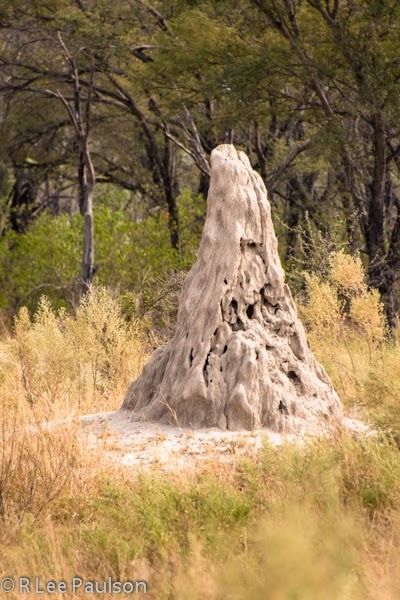 The termites, therefore, work very hard to create a constant temperature inside their mounds. 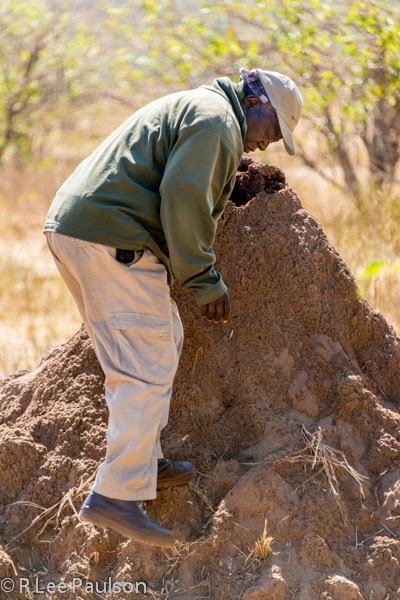 Mufuka demonstrates for us by breaking the top off the termite mound. 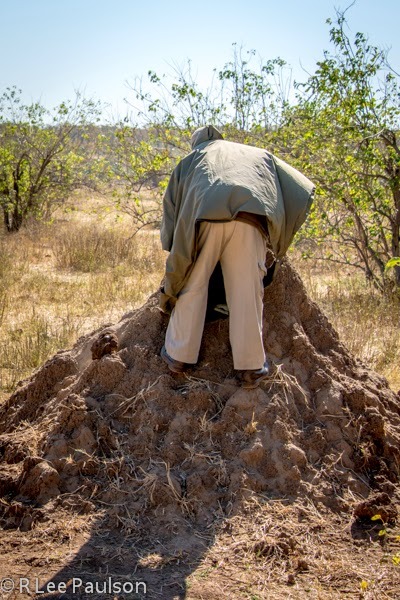 Immediately, warrior termites swarmed out of the hole he has just created. To their surprise, he ate them. 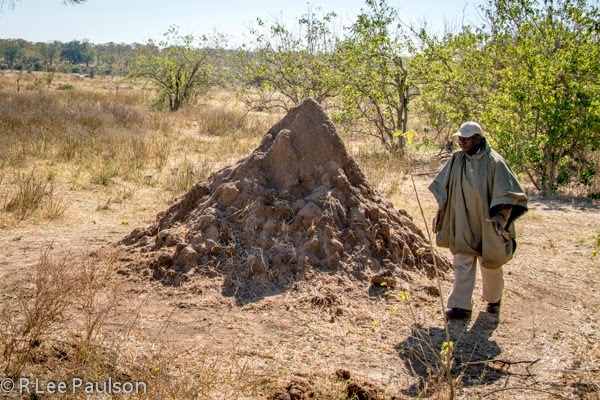 Turns out that termites are a good source of fat and protein. They are periodically harvested by indigenous Africans, dried and used as a source of food. Here he shows us one sitting on the end of his tongue. He gave each of us one to try as well. When in Africa and all that. But, to my surprise, they mostly just tasted crunchy. 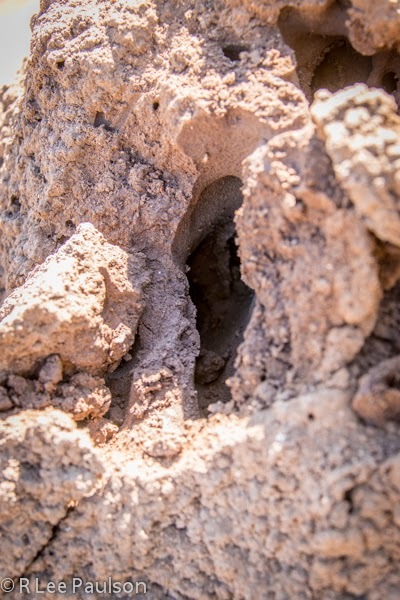 Here we can see the hole he created in the termite mound when he pulled off the top. Worker termites immediately began closing up the hole. They did that because having it open upset the critical temperature require by their partners the bacteria. 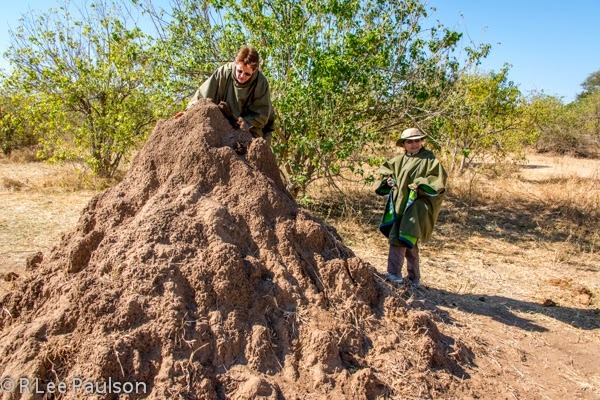 Several hours later we came back by the termite mound and found that the opening he made had been fully repaired. Look carefully inside the hole and you can see that it has been completely closed off. 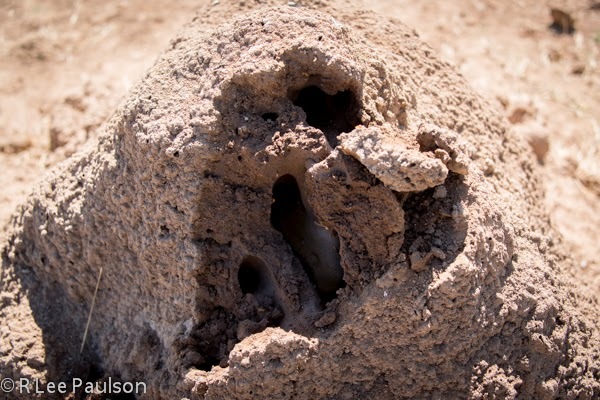 Termite colonies can live for hundreds of years, as egg laying queens are periodically replaced. 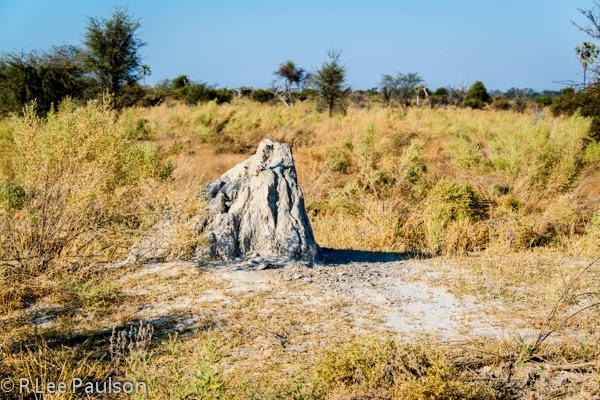 As long as a queen remains alive, a termite colony will survive. 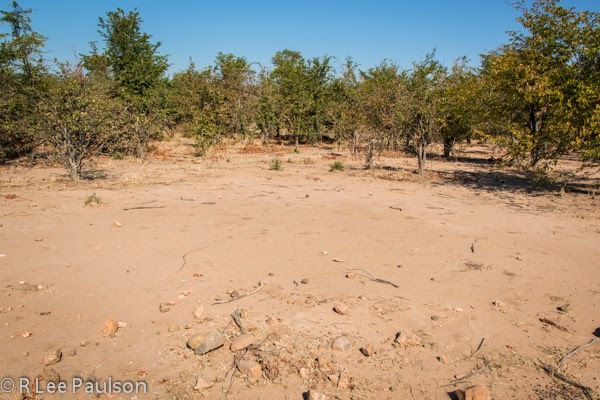 But, when predators invade a colony and kill the queen, the colony dies and the mound dissolves, as in the above photo. Next time, we visit a Zimbabwean village. 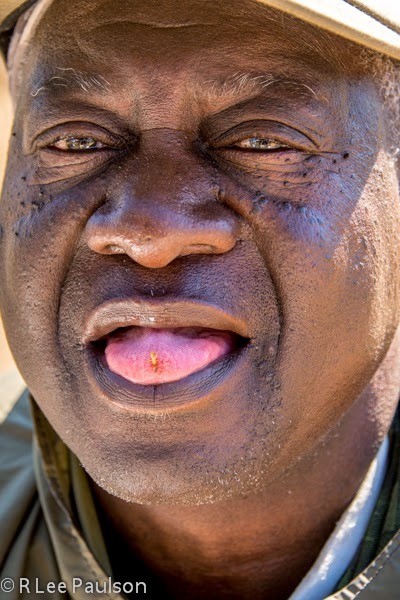 Continue on to Post 17: We visit a Zimbabwean Village, by clicking here.